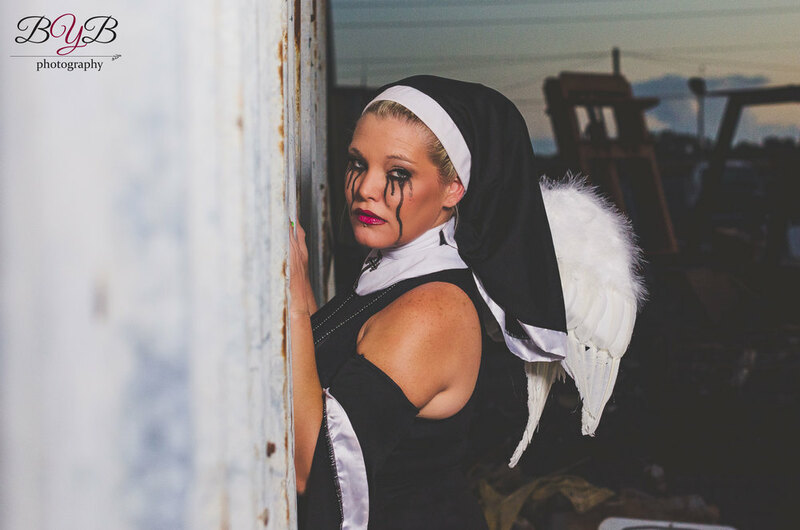 A few weeks ago I had the opportunity to participate in a Halloween themed shoot in a local junkyard. Photographers and models signed up to participate in advance. The models got to pick their look and came to the shoot made up and ready to go. We then teamed up with other photographers and models. I was fortunate enough to get the lovely Sati DeMayhem. She did her own makeup and made the costume. A very talented lady! These shoots are great as you get access to locations that might otherwise be closed or out of your price range. I am looking forward to the next group shoot!